CD Projekt Red says any forthcoming DLC for the PC version of The Witcher 2 will be free, but you're going to have to pay for it on the Xbox 360. CD Projekt Red has kind of a thing for post-release support of its games. The Witcher was a huge hit for a PC-exclusive RPG from a Polish studio nobody had ever heard of, but that didn't stop the studio from overhauling the game, adding a ton of new features, re-recording the English dialog and then giving it away - as in free - to owners as The Witcher Enhanced. The Witcher 2 is about to get the same treatment with the looming 2.0 update, coming on September 29. And DLC? That'll be free too, as long as you play with a mouse and keyboard. "All too often, DLC is seen as an additional revenue opportunity. That's not bad in itself - we're not only in this industry to make games, we're also here to do business. But we shouldn't look at it exclusively from the latter angle, because that sometimes leads to decisions that could leave a bad taste in one's mouth," CD Projekt Development Director Adam Badowski told Rock, Paper, Shotgun. "If you only think about the business in terms of the money it can generate, I think you could come awfully close to forcing players to buy something additional in order to enjoy fully a game they just bought. And that's simply not fair." "Our approach is different and relatively simple. All DLC for the PC version is and will remain free," he continued. "That's not likely to be the story for the Xbox version, because of certain Microsoft policies that need to be followed. But on PC, once you buy our game, you don't need to worry about any additional costs - we will provide all updates, including those featuring new content, for free." Which isn't to say that there won't ever be pay-to-play Witcher 2 content released on the PC, but if and when it happens, it'll be big enough to warrant a price tag. "Any payable DLC that appears is likely to be a more classic expansion pack along the lines of, say, Baldur's Gate: Tales of the Sword Coast," Badowski said. "But this is a purely theoretical discussion at this point, as we have yet to confirm or even plan any official expansion packs." 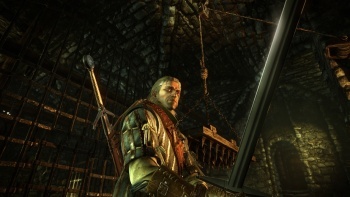 Theoretical it may be, but designer Jan Bartkowicz told Eurogamer over the weekend that the studio has "at least one big title ahead of us in The Witcher franchise." "All I can say is we're planning on releasing something. [The Witcher 2.0 is] not the last update for The Witcher 2," he said. "That's what I can assure you."